That is what our group chat topic on Whatsapp is at the moment; sad but true. It’s the weekend again but I’m not feeling it; these days I’d rather be working. While everyone else is complaining about how horrible work is, and while most dread waking up for work every morning, I find myself struggling to put down whatever is at hand; even at 3 in the morning. And yet most times I feel as if I’m still not doing enough. I should be doing more than just this. But what? Hopefully I’ll figure it out soon. 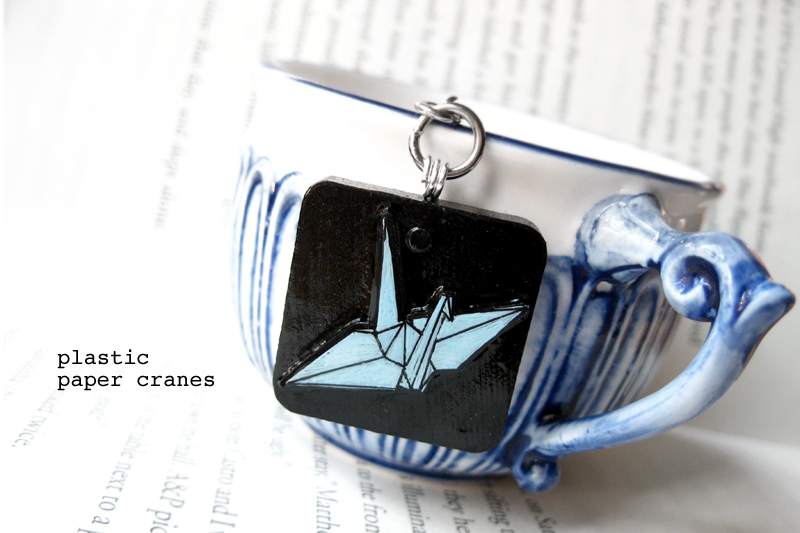 plastic paper cranes, in store soon. PS : I’m sorting out my clothes on an almost daily basis now so expect tons and tons of selling posts; my blog is beginning to look a lot like an apparel blog shop these days. Anyone else staying in tonight? I think I’m going to try to get some proper snooze this weekend. I need it.